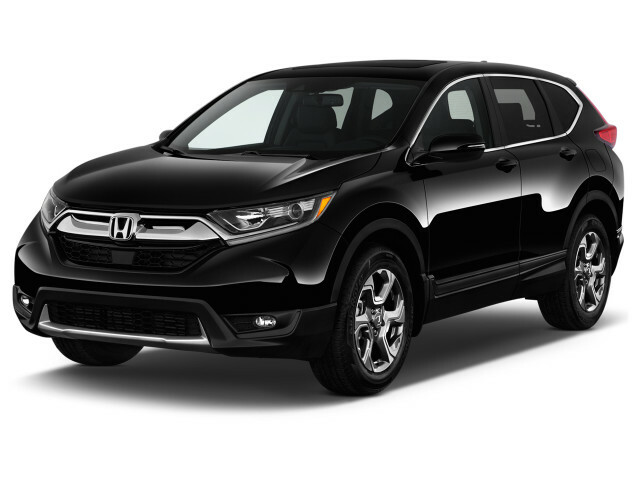 The Honda CR-V is a compact crossover SUV that seats up to five people and is one of Honda's best-selling vehicles. The CR-V's underpinnings are adapted from today's Honda Civic. 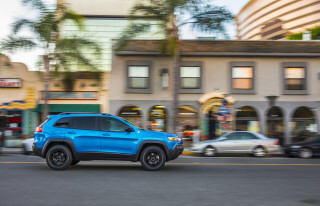 With good fuel economy and reliability, the CR-V is a formidable rival for vehicles such as the Ford Escape, Toyota RAV4, Nissan Rogue, and Chevy Equinox. With the latest CR-V, Honda redesigned what already was one of the best vehicles of its kind. The CR-V provides more interior space and more safety equipment than many of its rivals, and its turbo-4 version gets better gas mileage, too. After a redesign for the 2017 model year, the CR-V has rolled through subsequent model years without any changes. For 2017, the CR-V was new but its recipe didn't change a bit. It is a compact crossover with surprisingly good room for five. Base LX models essentially carry over the previous generation's 2.4-liter 4-cylinder, but all other trim grades (which Honda says should represent about 75 percent of the model's sales) utilize a turbocharged 1.5-liter 4-cylinder plucked from the Civic range. In the CR-V, it's rated at 190 horsepower and 179 pound-feet of torque, meaning it is slightly peppier than the engines that power base versions of most rival motors. Both engines are mated exclusively to continuously variable transmissions (CVT) and they offer a choice between front- and all-wheel drive. The turbo motor shaves about a second and a half from the non-turbo's 0-60 mph sprint, but it feels brighter on the road. Although the engine bay represents one of the CR-V's biggest changes, its expanded interior capacity shouldn't be forgotten. Honda only stretched the new model a little overall, but it feels much roomier inside. Of particular note is its cargo area, which now stretches 5 feet long with the second row folded. Likewise, the model's dashboard is more conveniently arrayed than before. We're especially happy that all models once again boast a volume knob instead of a silly and difficult-to-use slider knob. The latest CR-V looks somewhat different from the model it replaced, especially in the rear hatch. Its interior style prefers softer, rounded shapes that blend into the background during commutes. On the safety front, all but the base CR-V LX include the brand's Honda Sensing collision avoidance tech—adaptive cruise control, automatic emergency braking, and lane departure warning. During its prior generations, the CR-V evolved from a softer—but still very basic—alternative to truckier vehicles like the Suzuki Sidekick and Jeep Wrangler into more of a family-oriented people-mover. 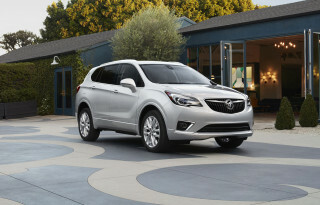 It has seen great success with that transition, helping to kick-start the small crossover segment that continues to grow. The first CR-V (1997–2001) was like other early crossovers; a more plain-looking vehicle that bore a strong resemblance to the old Honda Wagovan. It was equipped with a 4-cylinder engine then, like it has now. The CR-V quickly earned a following for its great visibility and durability, if not necessarily for its visual appeal. The second-generation CR-V, sold from 2002, was a significant improvement in nearly every way—much more refined, responsive, and comfortable. 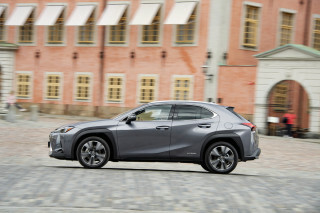 These models all have a 2.4-liter 4-cylinder engine, making about 160 hp, with most of them hooked up to a 4- or 5-speed automatic transmission (a 5-speed manual was also offered). Safety has generally been a selling point for the CR-V. 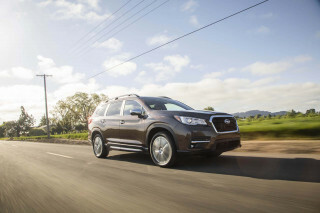 In a mid-cycle refresh for 2005, Honda increased the CR-V's safety content, making side airbags and anti-lock brakes standard across the line, which improved that model's IIHS side-impact results from a mediocre "Marginal" to the top "Good" result. The CR-V's scores in federal government crash tests generally have been good. For 2007, Honda completely redesigned the CR-V again, with that generation quite a bit more passenger-focused than the previous generation. That redesign gave it an interior feel that was more like that of a tall wagon or—gasp—a minivan. One odd attribute of the first- and second-generation CR-V models is the externally mounted spare wheel and tire; for the 2007 redesign, Honda finally relocated the spare from its perch on the hatch. In the same generation, the interior design became more advanced and well-appointed. The changes made to create the fourth-generation CR-V for the 2012 model year were more evolutionary than with previous generations, at least on the outside. Inside it feels a bit different, with upgraded materials and trims, along with an instrument panel that's in line with the latest Odyssey van's, and an even better rear-seat mechanism that allows you to fold the seats neatly forward with one hand—without the need for power systems. 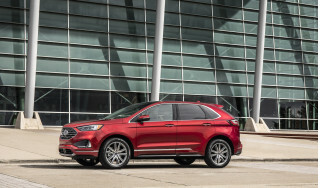 The engine was carried over initially, but the 5-speed automatic offered in 2012–2014 models received taller ratios, helping the model achieve better gas-mileage ratings, according to the EPA. Overall, the driving experience is nothing to get excited about, and while the CR-V rides well and is reasonably responsive, the new electric power steering system here fails to give the crisp, confident-handling feel the model had in the last generation. Honda has updated the CR-V's connectivity in the most-current generation. Bluetooth hands-free connectivity and Bluetooth streaming audio are at least standard across the entire model line, Pandora streaming is integrated with the system (if you have the right smartphone), and a new multi-information display can show personal pictures as well as the feed from a new rearview camera system. The CR-V received an extensive upgrade for 2015. Styling was tweaked, and there was a new 4-cylinder engine mated to a CVT borrowed from the Accord that replaced the 5-speed automatic. The result was improved fuel economy and slightly better acceleration. The front end featured a much more modern, upscale look, while the rest of the exterior received some other small touches. Honda also gave the interior a once-over, improving materials and modifying the layout slightly. The best small SUV for the money.